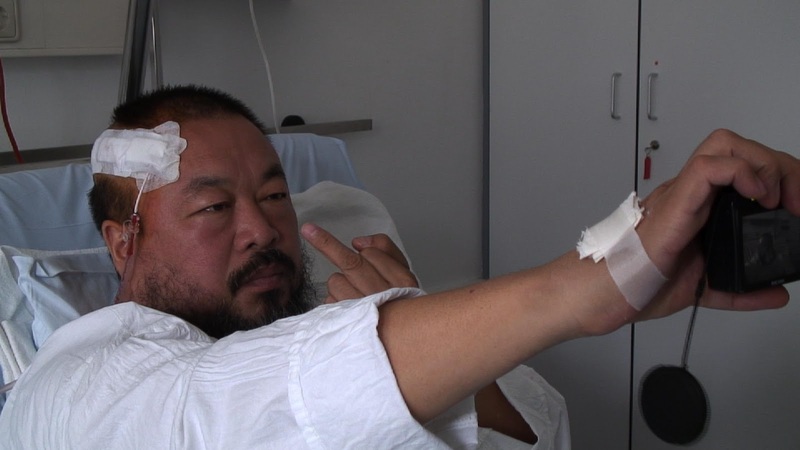 Like Jafar Panahi and Mojtaba Mirtahmasb’s vital This is Not a Film, Ai Weiwei: Never Sorry delights in capturing its dissident subject lounging in the company of animals. Panahi has his iguana, which roams the Tehran high-rise to which he’s been confined by Iranian authorities, and Ai, a target of systematic harassment by the Chinese government, has his cats, one of whose ability to open doors mystifies him. By framing Ai in this domestic scene, director Alison Klayman finds warmth in an artist recognized for his compulsive refusal to comply with draconian authority – see, for instance, the series of photos where he smashes ancient pots and strategically places his middle finger in front of cultural landmarks. Situating Ai as a cat man might seem precious, but Klayman is also doing sly political work here. She’s demystifying an avowed radical, and showing (without telling) how his oppositional stance to the government in projects like a multi-year effort to catalogue the students who died in 2008’s Sichuan earthquake due to shoddily constructed buildings are born not of snark but out of a real respect for individuals, be they undocumented students or pets.